Sunburn can be really painful and very damaging to the skin. Even when taking precautions, you may still get burned. These remedies will ease the sting of sunburn and help skin heal faster. Ease the burn with aloe vera! Our Herbacin kamille body lotion with argan oil and aloe vera is a great sunburn reliever and comes in two sizes, the smaller one being great for travel. Yogurt is an amazing home remedy to calm sunburn. It helps prevent peeling and reduces unsightly redness. Yogurt is full of live cultures, calcium, and protein, which help rejuvenate skin, plus lactic acid that exfoliates dead cells. Just reach into your pantry for another sunburn reliever— tea bags!. Soak several tea bags in cold water until the water is tinted, then use both the tea bags and the water on affected areas to relieve pain and reduce redness. Voila! 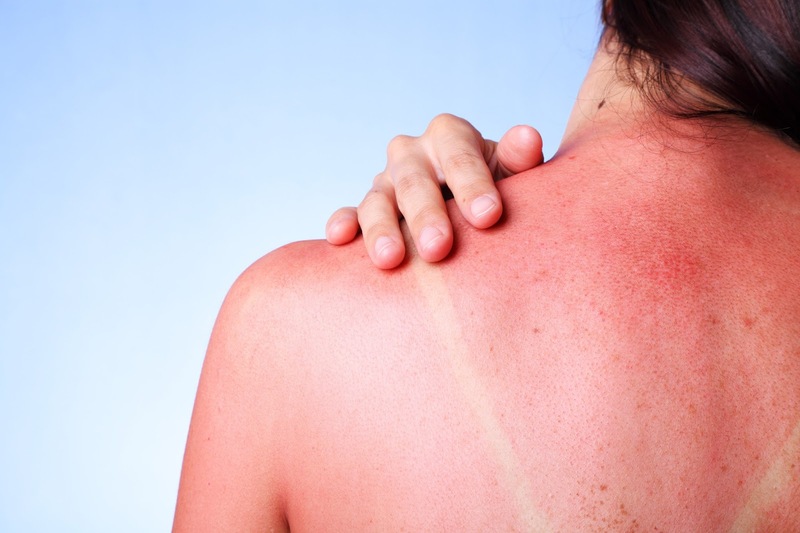 Three easy sunburn remedies!. And—ESSENTIAL!—remember to always, ALWAYS apply sunscreen before you go outside.